Over 120 years ago, Gustav Roedde had this house in Barclay Street built for his family in Vancouver’s modern-day West End. This magnificent building from Victorian times can be found right next to the beautiful Barclay Heritage Square Park. In 1893, the city of Vancouver was only 7 years old, and there were no bookbinders in the entire city. At that time, bookbinding was as important as tablets and computers are today, so Gustav Roedde made his way to North America to take advantage of the market. In 1881, Gustav emigrated from Germany, coming to Canada via the United States. After arriving in Ohio, he met his future wife Matilda, who came from Heligoland, a German archipelago in the North Sea. Together with her, he travelled to the Pacific Northwest - first to Victoria, the capital of British Columbia, and then to Vancouver, which had just been founded in 1886. Two years later, he opened the first bookbindery there. Gustav was born in 1860 in Großbodungen, a village in Thuringia, Germany, and he learned his bookbinding craft in Leipzig. Luckily for him, he happened to be in the right place at the right time twenty years later in British Columbia. 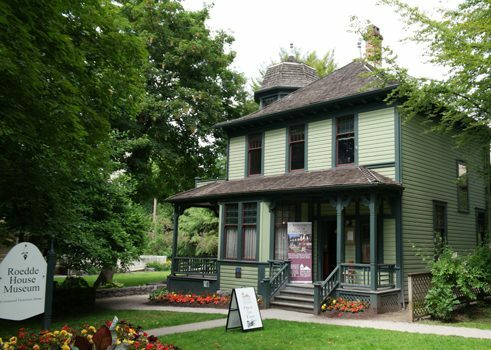 The years following his arrival were during a time of prosperity for Vancouver, which Gustav profited from, as he could therefore afford to build this impressive Victorian-style house. He had six children, and some of this pioneer family’s descendents still live and work in Vancouver, where they continue to show an active interest in the house. The bookbindery, which later merged with a printer’s, still exists to this day. It is now called G.A. Roedde Printers and operates under new ownership. 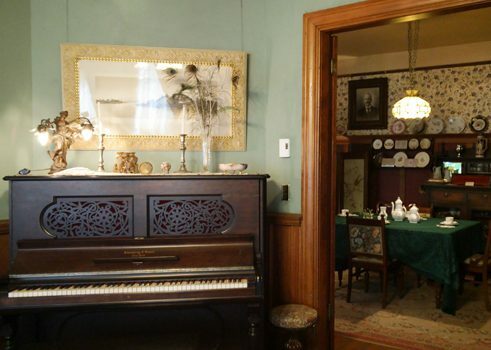 A tour through the Roedde House Museum offers visitors a window into the past. Specifically, they can see what life was like for an upper-middle-class immigrant family over 120 years ago. 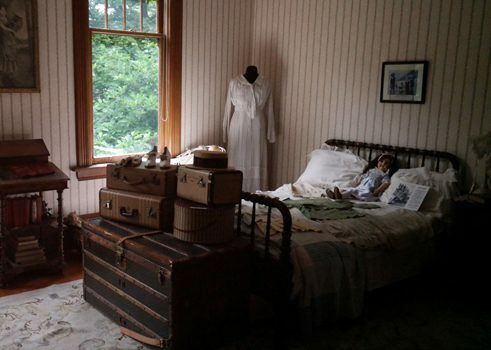 The museum shows what objects were used day-to-day and what everyday life would have looked like at the time. For younger, school-age visitors, it’s worth taking a look at a video clip of the two Roedde granddaughters in advance of a visit. The women, Gwen and Kay, were little girls at the beginning of the 20th century, and their recollections give wonderful insight into these bygone days.